Software testing doesn’t stop when your website is live and monitoring your website uptime or response time is a key aspect of software quality assurance. If your website is slow or down, it means you are losing clients: with no access to your pages, how are they supposed to use your services and contact you? However, checking manually the performance or whether it is up is time-consuming and unreliable. To stay informed, you can use one or several of the online website monitoring services and tools that are available. Some of the best of them are listed in this article. This website enables you to see if your hosting provider’s servers have been doing well in the past three months. It is an unusual service, since it focuses not on monitoring of a single website performance, but on giving an overview of what a particular hosting provider’s performance is like. If you are choosing a hosting company to entrust your page to, you can look through reviews on other websites, like Web Hosting Geeks, and see if the option that caught your attention has recently showed good results. 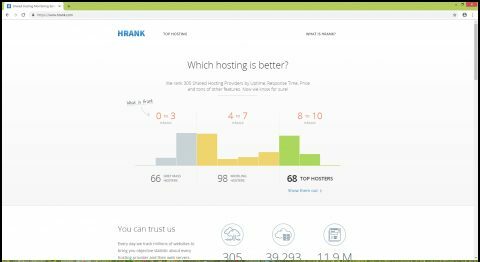 HRANK provides up-to-date information on server uptime, response time, and the number of servers employed. Uptrends is a powerful system which notifies you when something is wrong with your website. It double-checks if the problem really exists before it sends you an alert notification, which means the number of false alerts is significantly reduced. Its dashboard is easy to use, with detailed reports on errors, various statistics, and exportable reports. Uptrends sends email alerts wherever you are and enables you to track site performance from remote locations like the UK, the US, Germany, the Netherlands, France, and Canada. The best thing is that you can use these services for free: creating an account is available free of charge, and monitoring becomes as easy as ever. Uptime Robot is the ultimate solution that fits the needs of those who run a lot of websites. There are paid services, but the pack that comes free of charge is impressive. Up to 50 (fifty!) websites will be checked every five minutes – isn’t it a good option? If you need checks to be even more frequently (say, every minute), you can buy extra services. Uptime Robot is one of the most popular monitoring solutions, which includes the feature of monitoring ports, such as POP3, FTP, etc. 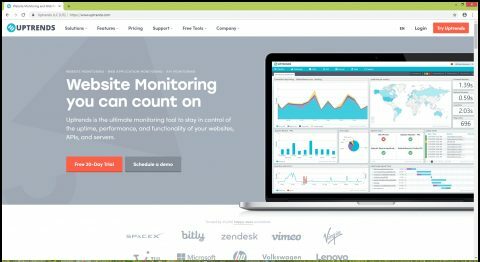 As their main page claims, you can start monitoring your website within 30 seconds, and the range of services available at no cost for you make it a good website monitoring service to consider. As its name suggests, Uptime is a major player in the field (who else can have such a name?). There is a 21-day free trial, after which their services should be paid, but the variety and convenience of them are well worth the price. Like the previous option, it can monitor separate system elements, including TCP, API, Ping, Email, DNS, etc. You can subscribe to receive reports, which can vary in frequency (daily, weekly, monthly). Not only does Uptime monitor uptime, but it also provides you detailed statistics on response time. 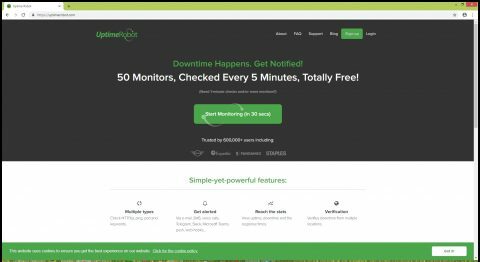 Uptime offers plenty of alert options to choose from: SMS, emails, Twitter, push notifications, and web hooks. Monitoring is available from thirty locations, which makes their solutions flexible and convenient for enterprise website that have a global audience. 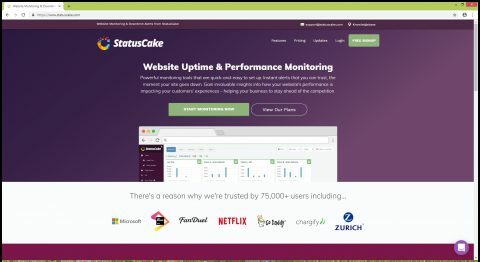 StatusCake is a paid monitoring service with a free 7-day trial period. Trusted by many major businesses, it boasts a large system of monitoring servers, the number of which accounts to more than 200. You can monitor page speed (checked from different locations), disk, RAM and CPU usage (you are notified when they are exceeded), and more. StatusCake supports Linux servers. Besides, it monitors domain name records to avoid hijacking. StatusCake can remind you about domain renewal, and do much more, including SSL monitoring, virus scanning, etc. Monitoring your website uptime is crucial for ensuring its excellent performance. If it is not flawless, chances are prospective clients will leave your page, so using and investing in an online website monitoring service is a must if you own a commercial website. Neva Meyers is a blogger, author and freelance writer a with 5 years of experience in this field. In addition, she is doing occasional freelance family photography.